Modern dentistry, like every other profession has acquired many specializations. Orthodontics is one of them. The focus of this branch of dentistry is on correcting the position and alignment of your teeth and jaws. Teeth that do not fit together properly or have crooked shape are at a greater risk of being lost. 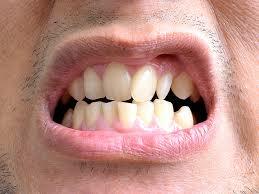 They are difficult to clean resulting in compromised oral health. Crooked and improperly positioned teeth can affect the way the jaw lines up which in turn results in compromised chewing along with added stress to the facial muscles. So, how do you know it’s time to visit an orthodontist? Below are a few problems for which you need to see an orthodontist. Sometimes your upper and lower teeth do not align properly which results in a misaligned jaw. The difference types of jaw misalignment including underbite and overbite. If this condition gets serious, it can cause problems in eating, chewing, breathing, sleeping and speech, in addition to pain. Misaligned jaws in children might invite teasing from their peers. A mismatched bite is called “malocclusion” by dentists and orthodontists. The treatment depends on the severity of the case, and can include surgery, cosmetic dentistry, or basic orthodontic work. Crooked teeth can cause troubles in many ways, from making chewing difficult to making a person feel embarrassed while smiling. Habits such as thumb sucking can also result in this condition of the teeth. Crooked teeth that are not damaged can be straightened at any age by applying braces. As a part of the process some of the crowded teeth are surgically removed to make space for the better positioning of the teeth. If the process is done before the patient reaches puberty, it is possible to use other procedures such as a palatal expander that gives space to the erupting teeth. 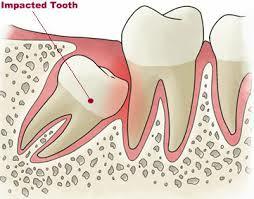 Impacted teeth occur when a tooth cannot erupt out of the gum, and instead becomes causes pain. The problem can continue throughout the individual’s lifetime unless extracted or surgically exposed. Wisdom teeth are the most frequently impacted teeth, since they are the last ones in the oral cavity. Impaction can cause a number of complications. Sometimes the soft tissue that covers the crown of an impacted tooth gets infected by microbes of the oral cavity. In the mildest form it causes discomfort, redness, and swelling whereas in severe forms the swelling is slightly larger which might cause difficulty when the patient tries to open the mouth. Orthodontists treat all impacted teeth, unless otherwise contraindicated, with surgical or simple extraction, depending upon the location of the teeth. 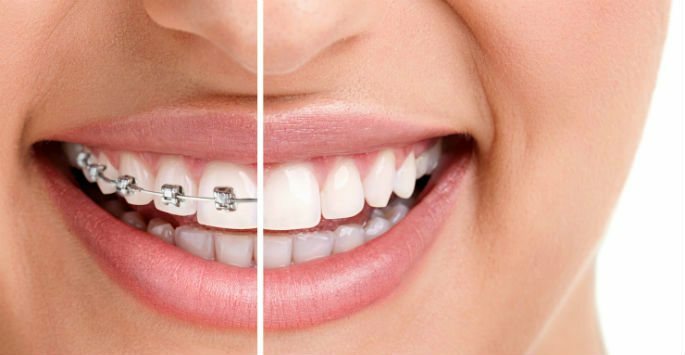 Orthodontic problems can affect anyone at any time. Parents should be aware of what dental problem their children have because dental issues should be addressed as early as possible. Problems that persist can cause severe damage to your teeth and gums. Parents should keep in mind that dental or any bone related issues are best treated at a young age. Contact us today at 646-760-8028 to book an appointment! 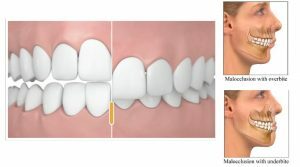 What is Malocclusion of the Teeth and How Can it be Treated? How Can I Treat an Underbite? What is Periodontal Disease and How Can You Treat It? Top Rated Orthodontists Specializing in Pediatric & Adult Braces, Accelerated Orthodontics and General Dentistry.